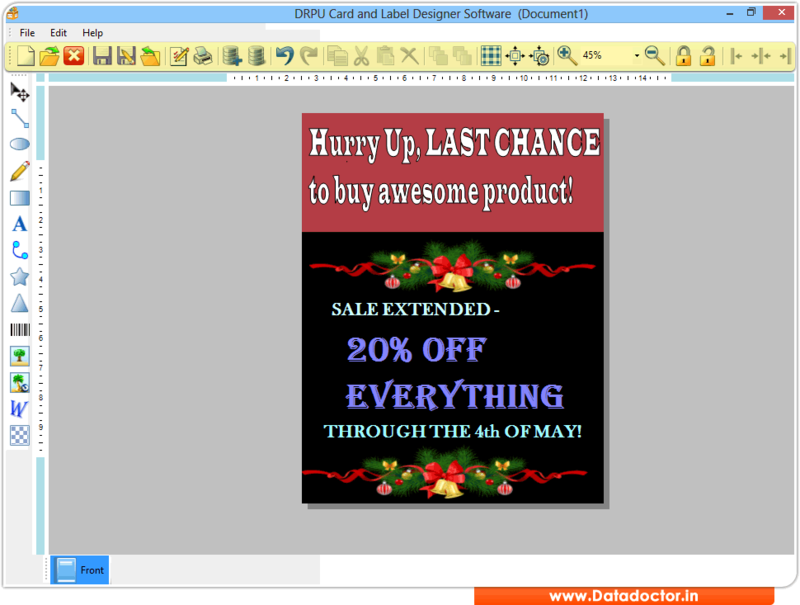 Card and Label Maker Software allows you to design custom style business cards and labels . ID card maker and label designing program easily designs personalized business cards as well as labels by the help of different images designing tools. ID card maker utility easily designs bulk business cards or labels by the help of inbuilt designing settings. ID card and label designing tool easily creates professional and streamline business cards including identification card, membership card, visiting cards, labels, envelops from your computer devices. Card and label designing software have print facility for printing multiple business cards and labels at the same time according to user needs. » Software provides inbuilt different labels designing tools including Line, Ellipse, Pencil, Rectangle, Text, Picture, Arc, Triangle and star objects to design various kinds of cards and labels. » Easily generates multiple labels and cards using different barcode and text value with the help of "Batch Processing Series" option. » Card and label creator software is developed with colors and background settings to design colorful labels and cards.